Can leaders revive animal spirits? We expect our political leaders to manage the level of economic activity by employing fiscal and monetary tools such as interest rates, tax incentives and stimulus packages to avoid recessions. However, in the aftermath of the bursting of the largest bubble in history, in the property market as well as other markets, we see that a social-psychological phenomenon, over-confidence, was not managed by leaders, and its subsequent collapse represents the deepest cause of the financial crisis. We can imagine that words of warning might have been effective in stopping the bubble before it got so big. Alan Greenspan’s “irrational exuberance” speech in 1996 had a briefly chilling impact on stock markets around the world. 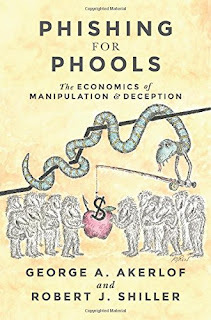 However, in the years just before the crisis, leaders failed either to issue firm notes of caution or to restrain over-enthusiastic investment by changing economic incentives. Now the danger is that we will languish in a period of under-confidence. The over-confidence of a few years past, which encouraged many people to leverage themselves in questionable investments in property, has now left us with a legacy of damaged portfolios. In this uncertain economic climate, businesses are hesitant to invest and consumers reluctant to spend. For a particular business or family, such hesitation may seem wise. However, the cumulative impact of individual decisions based on low confidence is an economy that stalls, either failing to recover or slipping once again into a recession.